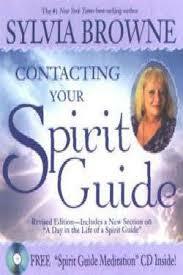 Contacting Your Spirit Guide is divided into two parts. In the first section, Sylvia Browne helps you find your spirit guides—the entities who are designated by you and God to assist you with life and give you guidance. You will not only learn how to tune in to your guides, but you’ll also see how you can recognize who they are, discover the messages they can give you, and even discern what their names are so you’ll know how to refer to them. In the second part of the book (“A Day in the Life of a Spirit Guide”), Sylvia writes intimately about her spirit guides, Francine and Raheim. For example, she explains how Francine first contacted her, and she reveals personal tidbits about her relationship with this guide. Francine then tells her own story through Sylvia about what a “day” is like for her, and the book even includes actual transcripts from a research trance and a “Spirit Guide Meditation” audio download.